Our Fuse Box Inspection stations verify the correct color and characters of all components including fuses, relays, diodes, circuit breakers, etc. The operator loads a completed Fuse Box into a CNC machined panel. It is automatically clamped and inspected with high resolution cameras and specialized measurement software. 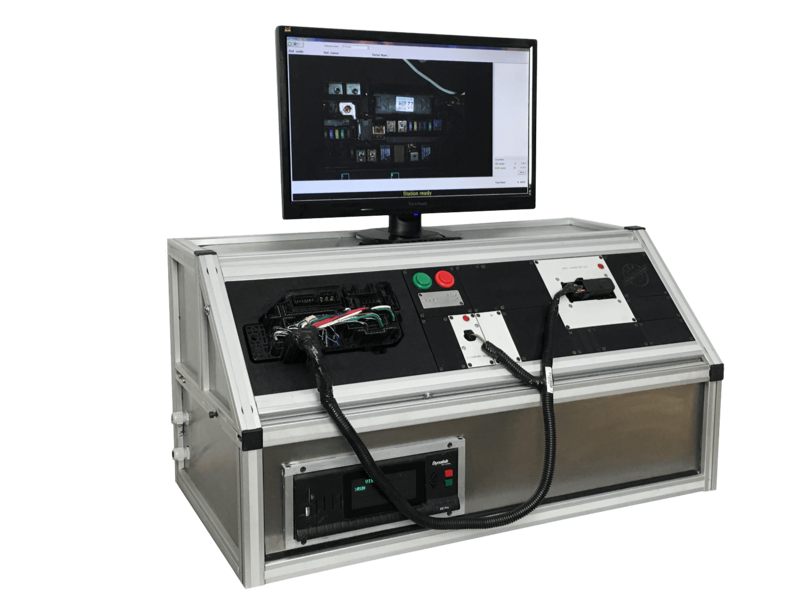 The Fuse Box Inspection is offered as a stand alone station or in combination with Relay Test or Torque Test.